Created by Loris Sensolin, the Big Bulb range consists of a table lamp, pendant and matching wall light. 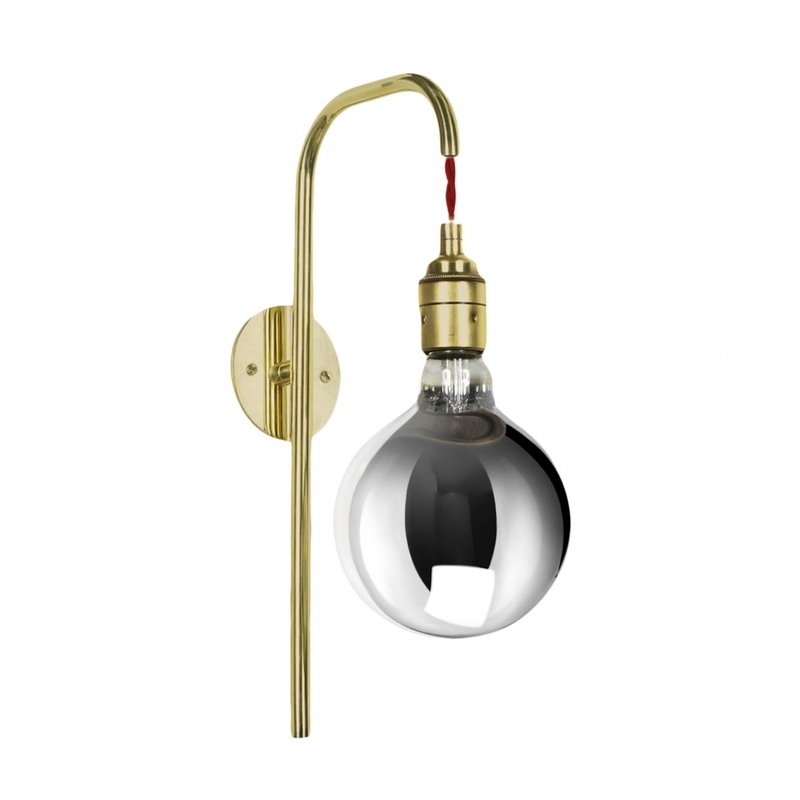 A metal tube in polished brass is bent at angles to produce this strong design, with a daring red flex and mirrored bulb completing the look. Also available with opal shade.